Grand Velas: An Emblem of Fine Gastronomy. Chef Patrick Louis, Corporate Executive Chef of Velas Resorts and Director of Food and Beverages of Grand Velas Riviera Maya, emphasizes the decision to consolidate the criterion of the group’s restaurants, thereby continuing to maintain the high quality standards that have earned Velas Resorts various awards and, most importantly, the preference of its guests. In attempting to define the great Chef Louis, character and personality are the most appropriate words; two qualities that distinguish him and are reflected in his culinary work. 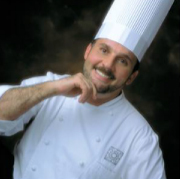 Switzerland, Germany, England, Canada and his native France, birthplace of the famous “haute cuisine,” are some of the locales where he has developed his talent, and each has contributed to his vast knowledge of the culinary arts. His passion has carried him beyond the limits of cuisine, guiding him to a solid career in hospitality administration. Currently he is the Executive Chef of the Grand Velas Corporation and Director of Food and Beverages of Grand Velas Riviera Maya, where he has contributed greatly and made very important advances. In the year 2000 he was named Best Manager of Food and Beverages in Latin America, out of over 3,600 hotels. After the opening of Grand Velas Riviera Nayarit, where he worked until July 2004, he spent three years in Paris managing his own restaurant, where he shared the concept of Mexican fusion cuisine with the French community. With over 10 years in Mexico, Chef Louis has been able to experiment with many new spices and colors, which he has gracefully incorporated into his unique style. He has now returned to confront his latest challenge at Grand Velas: to remain at the forefront of gastronomic trends. This is no simple task, when we refer to the management of restaurants with worldwide renown at All-Inclusive resorts. A shining example of Chef Louis’ grand success is the distinction of the Gourmand List, which names Grand Velas Restaurants Cocina de Autor and Frida among the 50 Best Restaurants in Mexico, a feat made all the more admirable due to the fact that they are the only two on the list that belong to an All-Inclusive resort. The AAA Four Diamond recognition of the three specialty restaurants at Grand Velas Riviera Nayarit, Frida, Lucca and Piaf also illustrates his talents. About the recognitions of excellence, Patrick Louis poses the question: What makes us different? 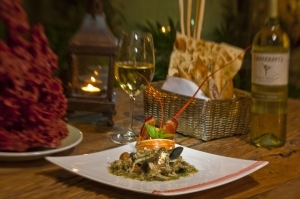 Why has the cuisine at Velas Resorts been recognized? It is very simple. We have a firm commitment to quality. From the moment the guest arrives at the hotel and the moment they enter our restaurants they feel indulged. The concierge recommends where to dine and what ambiance is best if they are with family or on business. We truly value each small detail. We aspire to surprise the guest from the beginning, with their aperitif and appetizers. We then focus our greatest efforts on the main courses, desserts, wines and beverages to make their visit perfect and cause them to return and try something new, something that surely will surprise them again and exceed their expectations”. In closure, Patrick Louis assures that the standardization of the Grand Velas brand will continue to position Velas Resorts restaurants at the forefront of gastronomy in Mexico and Latin America and that they will remain on par with any restaurant in the world. “We seek to imprint this seal on our resorts, so that guests find the same quality standards in each property of the group: avant-garde cuisine, the highest-quality ingredients and a commitment to competing at an extremely high level. Without this, everything would begin to collapse and we would rest on our laurels, thinking we are the best. There is always someone to measure ourselves against, with whom we can have healthy competition, and we will be at the level of any great hotel in the world” states the Grand Velas Executive Chef.